The Land Transport Master Plan Advisory Panel has proposed that peak-hour commutes on public transport should take no more than 45 minutes by 2040. By 2040, peak-hour commutes on public transport should take no more than 45 minutes, the Land Transport Master Plan Advisory Panel has proposed, which will help the average peak-hour commuter save about 15 minutes a day. The recommendations also include making public transport better connected, as well as safer and more inclusive to disabled users This is one of the recommendations that the panel submitted to the Government yesterday to make public transport faster and better connected, as well as safer and more inclusive. Senior Minister of State for Transport Janil Puthucheary, who chaired the panel, said the land transport system must transform to support Singapore's growth and the evolving needs of commuters, while taking into account technological disruption, demographic changes and land constraints. The 15-member panel took in more than 7,400 responses from commuters, transport workers, industry representatives and academics in the past six months to formulate its proposals. At a news conference yesterday, panel member Paul Barter - Transport Policy Researcher at the Lee Kuan Yew School of Public Policy - said the needs of various groups must be balanced. For example, one of the recommendations is to redesign roads in residential areas to lower motor vehicle speeds. While this might impact motorists, it would help significantly reduce injuries and fatalities among pedestrians, said Dr. Barter. The interests of these various groups often intersect, he noted. "No one is just a motorist, or a cyclist, or a bus user," he said. "We are just all people who want to get around." National Transport Workers' Union Executive Secretary Melvin Yong said some trade-offs are inevitable when improving the transport network here. For speeds to improve, buses will need greater priority on the roads, and space will need to be freed up for pedestrians and cycling infrastructure "For bus speeds to improve, buses must have greater priority on roads. For better first- and last-mile journeys, more road space may have to be freed up for pedestrians and cycling infrastructure," he said, giving two of the recommendations as examples. 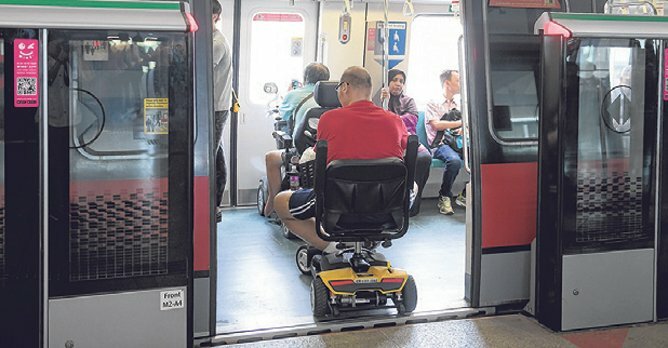 The panel also sought to make the transport system more inclusive by, for example, using technology to enhance signs and announcements for those with disabilities. SPD Resource and Impact Director Joyce Wong said those with visual impairment may have difficulty in identifying bus numbers. "Singapore needs to build a more caring and gracious commuting culture," she added. The panel also considered the issue of affordability of public transport, said Dr. Janil. One of the proposals is to have decentralisation through the development of more regional centres to allow jobs and amenities to be closer to homes. Public Transport Council Chairman Richard Magnus said this could help cut travelling costs for commuters. 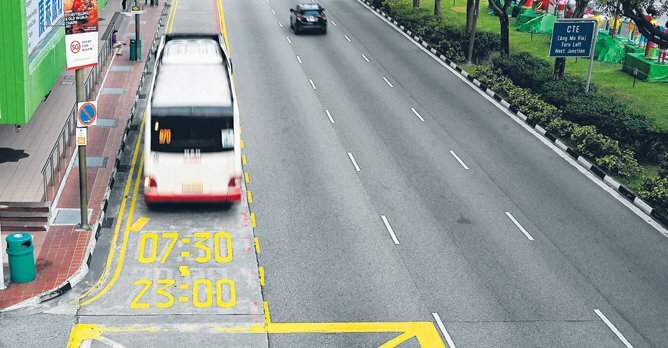 But experts such as Nanyang Technological University Senior Transport Research Consultant Gopinath Menon said more could be done to lower private vehicle ownership, in line with the Republic's car-lite vision. National University of Singapore Economist Timothy Wong said 'heavy-handed anti-car policies' such as raising the price of parking may be necessary, rather than just pro-public transit policies. In a Facebook post, Transport Minister Khaw Boon Wan thanked the panel, and said his ministry would study the recommendations carefully. "I will respond to the recommendations at next month's Budget debate in Parliament," he said.